Clean living conditions prevent disease; Sunlight kills viruses, fresh greens boost immunity and exercise improves health. 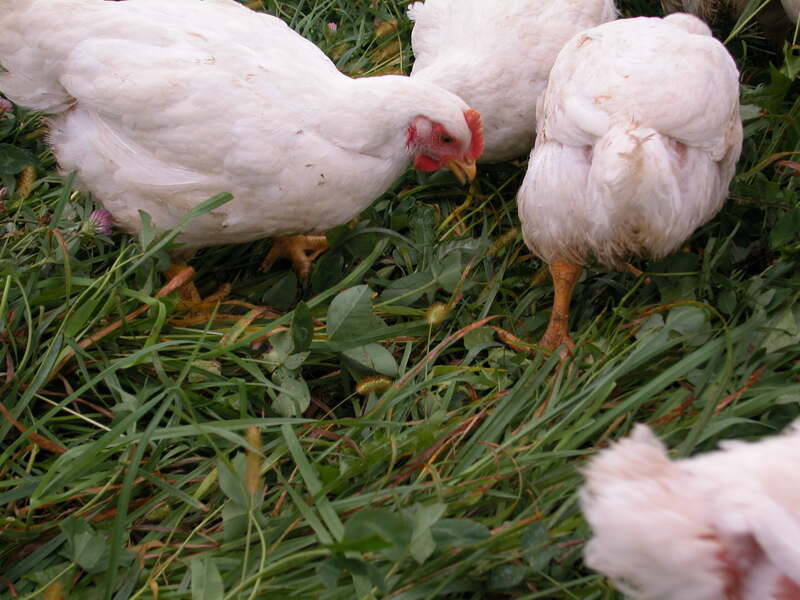 These are the benefits for poultry raised on pasture. Inside poultry confinement buildings ventilation fans run 24 hours a day. Without these fans the birds die relatively quickly from ammonia fumes and the heat that’s generated from the high density of bodies within the building. 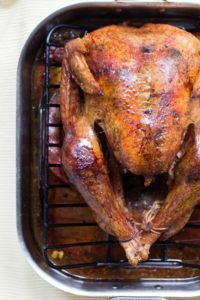 Secretary of Agriculture Tom Vilsack has announced that the federal government is preparing for a bird flu outbreak this fall that could be twice as bad as the one this spring. The USDA is calling for shutting down the ventilation system if there's another outbreak of Avian Flu. The policy is designed to help farms more quickly keep the virus from spreading. USDA officials said that teams hired to euthanize birds in Iowa and Minnesota fell behind on destroying infected birds this spring due to the size of the flocks. The new euthanasia policy initiates a 24 – hour “stamping-out.” If no other method of killing would meet the 24 hour deadline federal and state officials, along with the producer, agree to shut down the ventilation system. For chickens in pasture it's a different story. There is no switch to flip. No ventilation fans to shut down. Just sunshine, fresh air and green grass. Pasture pens are open to allow chickens access to all three. The tops are partly covered to give shade along with protection from the rain. The bottoms are open to the grass. 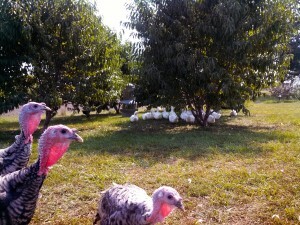 The birds aren’t crowded and they live outdoors during the optimum growing season; May – October. 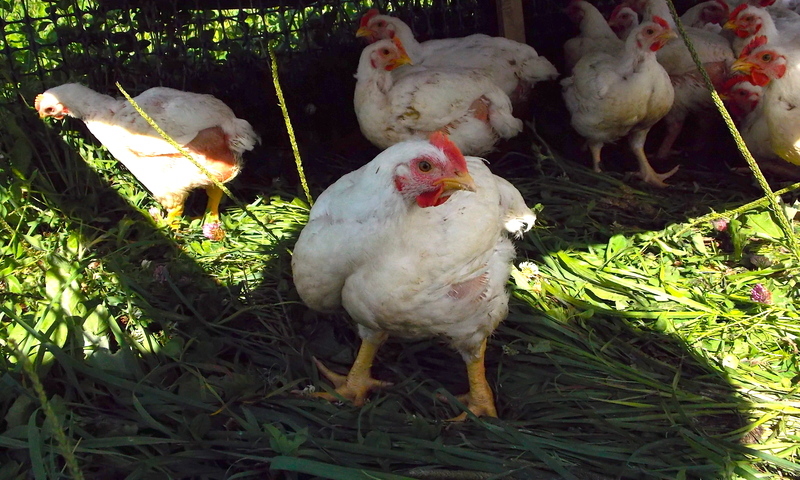 Instead of buying confinement chicken make a healthier decision. 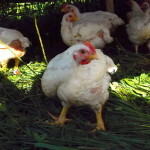 Find a farmer who raises pastured poultry. The health and taste benefits far surpasses the cost. As a gardener there comes a day when even the heaviest frost blanket can't offer protection. You resign, relinquishing the garden until spring. Maybe it's because of this resignation, probably not, but nothing could satisfy the melancholy feeling of the garden shutting down like a fresh picked tomato. Fresh tomatoes are gone until next year, this is the off-season. There's a group of small, like-minded farmers who network together. Barter and trade are frequent among us. 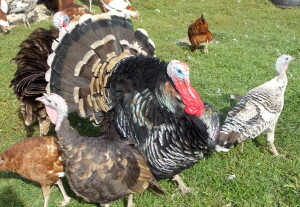 Last year we traded a young Gloucestershire Old Spot boar for hen and tom heritage turkey's. This spring the hens were late to set their eggs, some never cycled into egg laying. 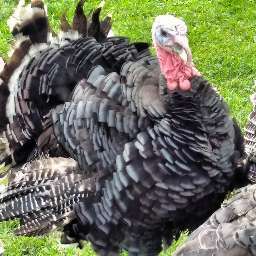 Talking with a turkey raiser he determined last winter too severe. 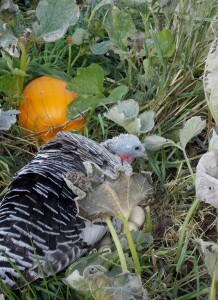 Turkey hens, regardless of their care, just weren't up to the task of laying, at least not fertile, viable eggs, anyway. That is until this week. In front of the machine shed door a Narragansett hen sat sunning herself. 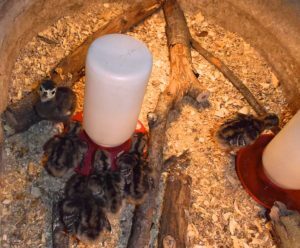 She puffed her feathers, called in a high-pitched whistle and seven small turkey poults scooted underneath her. Doesn't she know this is the off-season? Later in the day I collected pumpkins for the sows and boar. 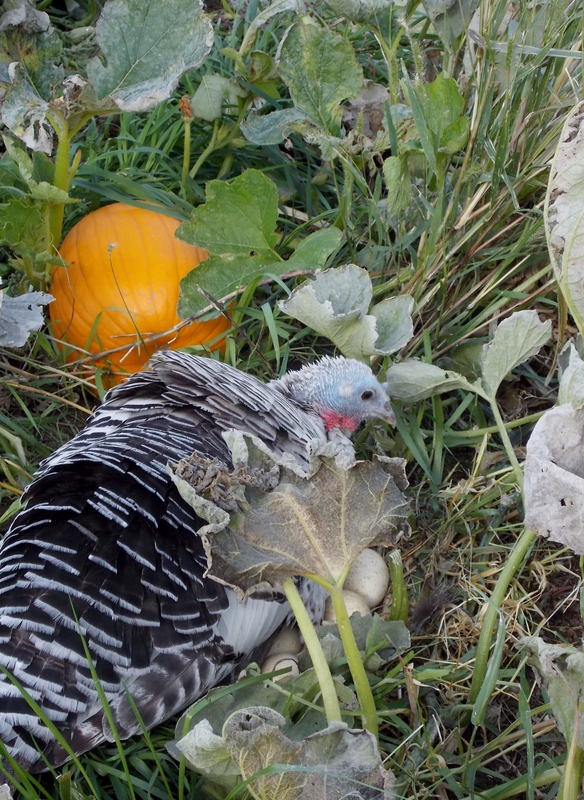 Among the vines and fruit another Narragansett hen is sitting on a clutch of eggs. 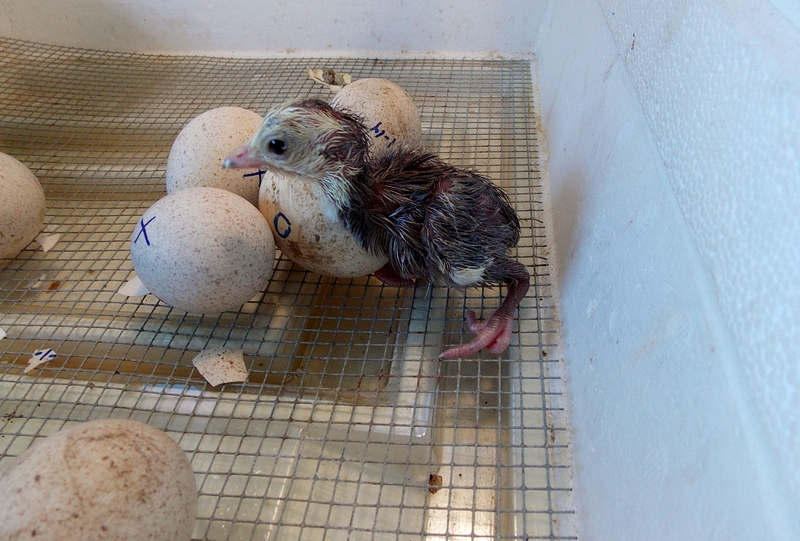 One of the Muscovy hens hatched eggs last week. Five ducklings follow here through the pasture every afternoon. We haven't found where she's hiding her brood, hopefully a weasel or owl won't find them either. The peach trees, all but one, have been dormant all summer. Scratching the surface bark there’s life under the cambium layer so they weren't cut down. Maybe next spring they'll surprise us with buds, it's doubtful, but I remain optimistic. In October of 2012, following one of the worst droughts in our area, the lilac bushes started to blossom for a second time in one season. 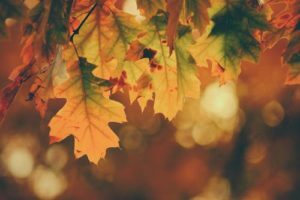 The October flower clusters were sparse, but the following spring they were full of flowers again as if the off-season blossoming hadn't interrupted the cycle. The oak tree along the lane is dropping bushels of acorn that go uncollected. The oak in the pasture is dropping a heavy crop for the pigs to feast on. They've gleaned the fallen nuts leaving the ground underneath bare. 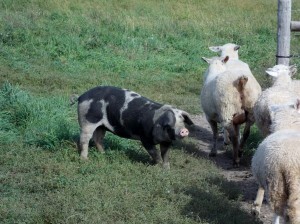 One pig in particular stands sentry, he won't let the sheep near the tree. He doesn't realize the sheep want sweet clover not bitter acorns. Between the pumpkins, clovers, apples, and nuts the pigs diet is diverse. Their commercial feed goes untouched when there's so much they can harvest themselves. This is one of the benefits of pastured hogs; a healthy diet.